Amanda majored in Early Childhood Education in College, but found that working outdoors is her passion and transitioned to Pest Control in 2013. 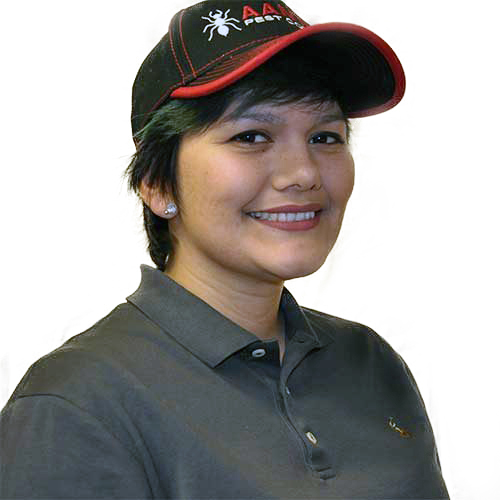 She is passionate about helping people and loves to be a part of resolving her customer’s pest issues. Amanda is very active in Children’s Charities and has raised funds and participated in Children’s charity running events such as Run4Hope. On the weekends she makes cakes for foster children through an organization called “Cakes for Kids” and is also very involved in Reading Partners a reading program for children. She comes from a family of 8 children and credits her experience of growing up surrounded by her younger siblings that gave her a passion to work with children. Her favorite sports teams are the Oakland Raiders and Oakland A’s and she LOVES the San Jose Sharks Hockey Team!